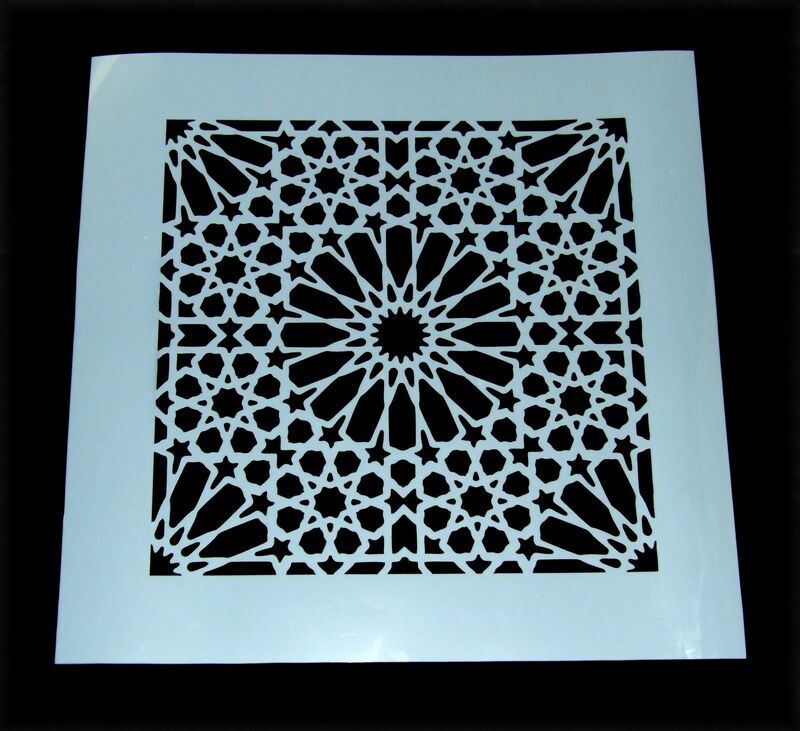 Moroccan tile mylar stencil. The cutout size is 12x12 inches. The entire stencil including border is 16x16 inches. The material used is 7.5mil mylar which is reusable. The black in the drawing is what is cut out. 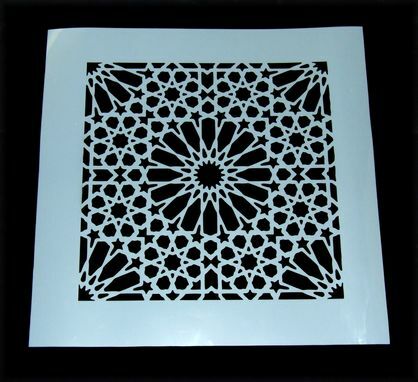 The style of the stencil pattern is vintage Moroccan.